Before the City had its “Gherkin” tall buildings were very unpopular with the general public. It’s easy to see why a building like this one would make people have different thoughts on high-standing buildings around the city. The design is one that makes you want to check other tall buildings for some similar or better inspiration or just for the next big thing. 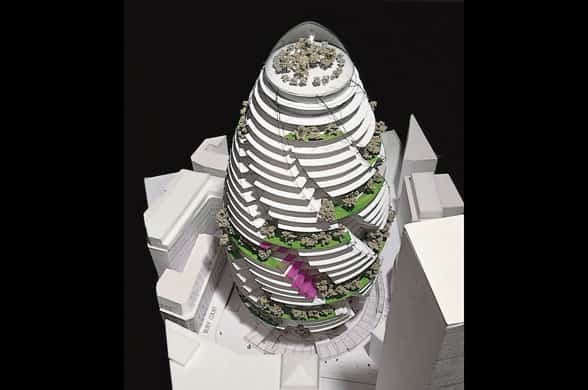 When Swiss Re was looking for a company to design the sort of housing that can shape their company as one of the most popular insurance companies in the world, Forster + Partners stood and scooped up the chance, relishing to go on and make a beauty in Britain‘s capital. It’s not just an ambitious building and massive structure, the sustainability mechanisms employed in its design have ensured that the building uses only half the energy consumed by conventionally unsustainable and air-conditioned buildings of such magnitude. The Gherkin is located in the heart of London’s financial centre. Designed to have a gradually diminishing form and with a host of eco-friendly glazed skin covering it, it’s visited by around 30 people every 10 minutes who walk inside the building for a maximum of 20 minutes before another group goes in. To say that it has created a “Bilbao effect” of its own would be an overstatement because unlike the Bilbao Museum, this building has not changed the face of London to tourists on a very large scale. However, the Gherkin on its own is a subject of top-notch implementation of the architect’s idea which has brought great admiration to buildings of its size. In designing London’s first ecological tall building, Foster + Partners used a technically radical approach to provide for the brief which required approximately 47,000 square metres net of office space coupled with a group of shops and cafes in an arcade that would be accessed from a new piazza. 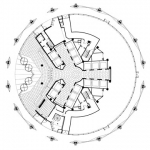 The building’s concept was generated from its circular plan which embodied radial geometry inspiring the architects to widen the building’s profile as you move up and slowly lessen it as you approach the top most lens. Since the building is very slim towards the bottom, it helps to maximise the public’s domain space of activity at the street level. The form responds to the challenges of the site since it appears very slender as compared to rectangular blocks of the same mass. The Gherkin’s tapering form allows it to reduce wind deflections hence offering very minimal wind resistance, an aspect of it that helps it to minimise on wind loads as well as creating a comfortable environment for people on the ground. The external pressure differentials created by the deflected winds help the building to drive its unique system of natural ventilation. Foster + Partners provided a column-free floor space due to the use of a diagonally braced structure designed by the internationally renowned structural engineering company, Arup. With the diagrid and an all-round fully glazed façade, the building provides its users and visitors with adequate lighting and awe-inspiring views. The skin of the Gherkin is double glazed and the space created between the glazing is part of the ventilation strategy to enhance natural cooling and maintain thermal comfort inside the building. The tower has six shafts that form into a series of break-out spaces spiraling up the building. The shafts pull warm air out of the building during the summer and warm the building in the winter using passive solar heating. The building has a record 24,000 square metres of glass arranged as diamond-shaped panes. To put that figure into perspective, it’s the equivalent of five football fields. 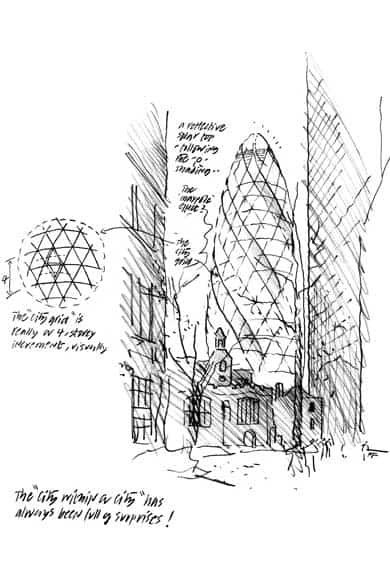 An interesting fact to note is that despite the circular nature of the Gherkin, the glass panes aren’t circular except for the one covering the summit which was designed as a sharply intricate dome-like figure. There are 792 mechanized windows that can open in the light-wells for ventilation and fresh flow of air. The curved form of the building is a result of the shift of 5 degrees of one floor from the one below it continuously to the top most level. The summit which I earlier referred to as the ‘lens’ hosts a club room that would apparently cost you roughly £290 to enter on New Year’s eve. The 360-degree panoramic view across the capital while at that top-most floor would obviously make up for the price nonetheless. 35 km worth of steel was used in the construction of this tower. 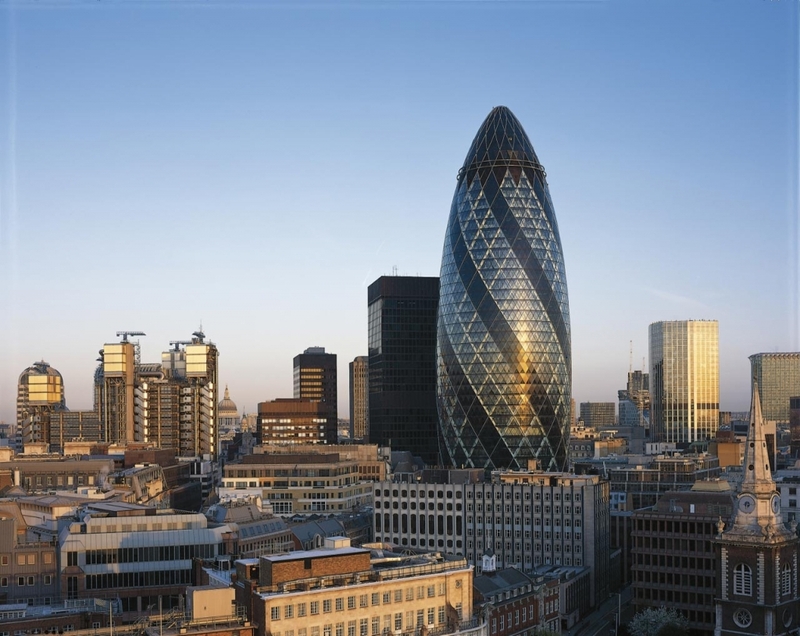 The Gherkin has received more than 10 awards since its completion in 2003 and commencement of use in 2004. Among the awards is the prestigious Royal Institute of British Architecture’s Stirling Prize which is usually awarded to the building that has made the greatest contribution to British architecture in the past twelve months.